Union textiles minister Smriti Irani, who was given additional charge of the Information and Broadcasting (I&B) ministry earlier this month, has shown yet again that she has a no-nonsense attitude when it comes to dealing with the mainstream media. Irani was given charge of the ministry after her predecessor Venkaiah Naidu resigned to participate in the Vice-Presidential elections. While Naidu was large-hearted to not award even a one-day token ban to NDTV India for their controversial coverage of Pathankot terror attack, Irani took to Twitter to call out news agency PTI for circulating wrong images of Ahmedabad airport. 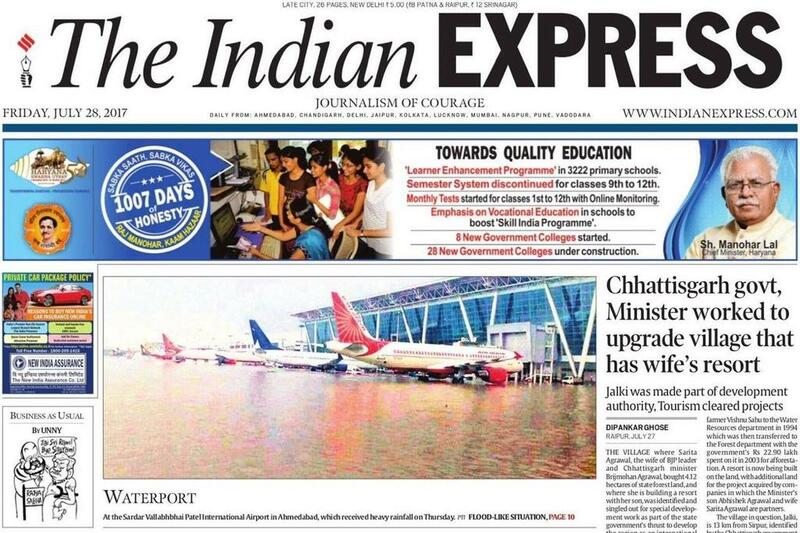 Readers, who these days appear more aware and alert than the journalists, were quick to point out to such media outlets that they were using old pictures from the 2015 Chennai floods when Chennai Airport was flooded due to similar heavy rains. Thank you for bringing this to our notice. We’re working quickly to fix this. 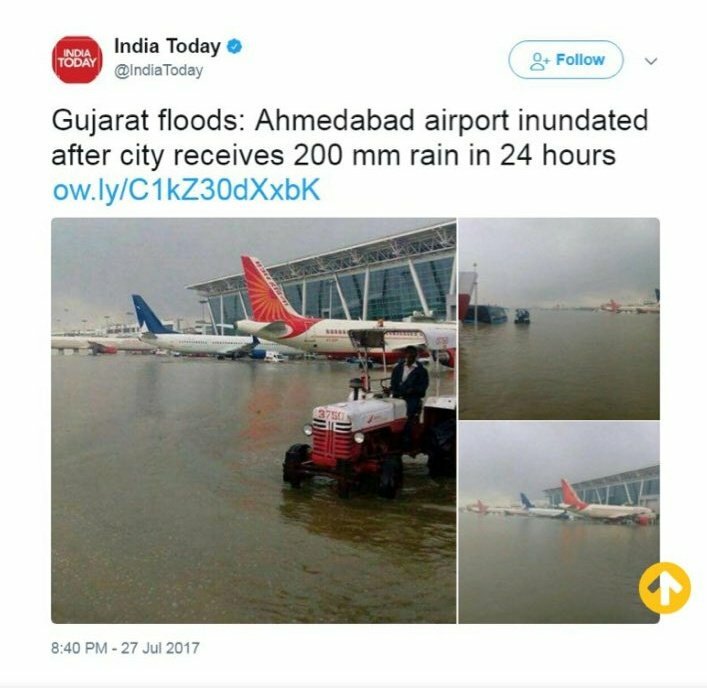 However, despite users pointing out the errors and some media outlets even making amends, news agency PTI circulated the same old 2015 photograph of Chennai Airport as 2017 photograph of Ahmedabad Airport on the same day. As it happens, media outlets blindly trust anything supplied by a new agency, and thus some newspapers carried the same photograph on their front page today, thereby misleading and misinforming their readers about the situation in Ahmedabad. Attention: photographs of Chennai floods have been used and passed off as Ahmedabad @PTI_News Kindly alert all news establishments. It would be prudent @PTI_News to get an explanation as to how this happened. So did a photographer in Ahmedabad fool PTI by sending a two years old photo? That sounds pretty bizarre. Also, why could no one in the editorial team spot that it was a two years old pic, while many Twitter users were able to spot this? Not only that, even newspapers like Indian Express need to explain why could their editorial team not spot something that was spotted by average readers? In the digital era, when some media outlets had already realised their mistake and corrected the same, how come Indian Express repeat the same mistake? By the way, this is not the first time PTI has been caught spreading misinformation. Recently we had reported how they had almost maliciously spread a completely false report about the Yogi government drastically slashing its education budget in Uttar Pradesh, while the truth was that it had actually seen an increase. They have not bothered to correct that lie. Prior to that, PTI had spread fake news that claimed that the former Defence Minister Manohar Parrikar had planned the 2016 surgical strikes in the Pakistan occupied Kashmir due to an “insulting question” of a TV news anchor.